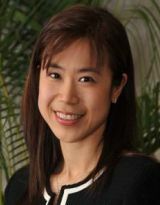 Dr Irene Chua is a Senior Consultant Obstetrician and Gynaecologist at the Gleneagles Medical Centre. Prior to setting up her private practice, Dr Chua was a Senior Consultant in the Minimally Invasive Surgery Unit, KK Women’s & Children’s Hospital (KKH). Previous position held includes Head of the 24-Hour Women's Clinic in KKH. Dr Chua is also a Senior Clinical Lecturer for Yong Loo Lin School of Medicine, NUS and was awarded the Top 10 NUS Clinical Faculty Teacher for the year 2007-2008. In addition, she has also been awarded the CEO Heart award in 2010, Singapore Health Quality Service Superstar Award in 2011 as well as the prestigious PS21 Star Award in 2011.